Use these handy tips to get flying with your new Lutema R/C Helicopter! 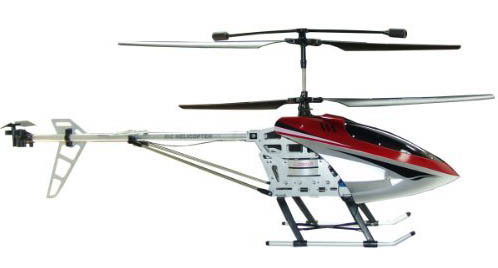 Your Lutema RC Helicopter MIT35CLH/ MIT35CLHY offers hours of fun. If this is your first remote control helicopter, you’ll need some practice with the remote control. Here are some tips to get your started on the road to flying like a pro! The first thing you’ll need to do is to charge your Lutema R/C helicopter. Since lithium batteries can heat up quickly, be sure to monitor your helicopter while the battery is recharging. When you’re waiting get your space ready. Move any objects out of the way and may sure you have enough clear space to fly the helicopter without running into any objects. Before starting to fly, get your flying area set up properly. Make sure the Lutema RC helicopter is turned off and the remote control throttle is all the way down. This will make sure the helicopter doesn’t fly off randomly before you’ve taken control and end up hitting someone or crashing into something. 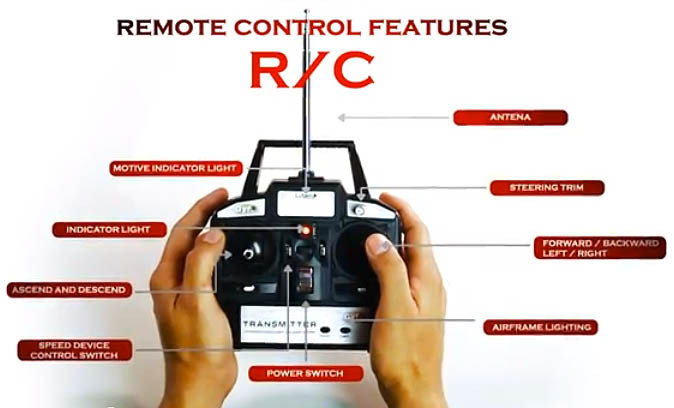 Your remote has three main controls that will help you control the Lutema R/C helicopter. Throttle: Found on the left hand side of the remote. The throttle controls the height of the R/C helicopter. Push the throttle all the way up to make the remote helicopter gain height. Push the throttle all the way down to make the R/C helicopter go down. Direction: Found on the right hand side of the remote. The control stick controls direction of the RC helicopter. For a clockwise direction, move the stick to the right. For an anti-clockwise direction, push the control stick to the left. Trim: Found on the right side of the remote. The trim button stops any uncontrolled movements. Moving it right corrects clockwise movements. Moving trim button left corrects the R/C helicopter from spinning counter-clockwise. Use the right trim button to stop uncontrolled clockwise spinning. Use the left trim button to stop uncontrolled clockwise spinning. Repeat the procedure until you can get the remote R/C helicopter to fly smoothly. Move the direction stick to the left and practice moving the remote helicopter counter-clockwise. Move the direction stick to the right so the Lutema remote helicopter starts flying in clockwise circles. Keep practicing these moves until they come automatically to you. You’ll soon be flying like a pro in no time at all. Check out the Lutema R/C helicopter video below for more Lutema MIT35CLH/ MIT35CLHY remote helicopter flying tips. So could you help with my problem? My helicopter is fully charged and so is the remote. (green, etc). I synced the heli with the remote (blinking—solid red), thats fine but I cant do anything else, i cant even turn on the lights for it? Any suggestion? First check the batteries in the remote control unit itself. If they are weak the signal may not be able to get through. The lithium battery may not be holding its charge. I suggest calling the customer service line where there are more experts to help with the issue. It’s a toll free line at (800) 290-6285. I will also email you the manuals for the helicopters.